… and the only thing that's gonna fix it IS MORE KNITTING! Dudes, I gotta problem. There is a wonderful ebb and flow to the knit mojo and right now mine is running on all cylinders!! 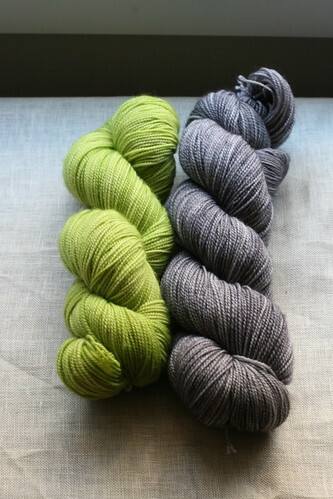 I've been keeping busy with a good amount of "work knitting", samples being made for upcoming books and projects (eee! and no not my OWN book, maybe one day – a girl can dream!) but I am also trying to keep my knit psyche happy by allowing myself a little "for me" knitting at knit group and on weekends. 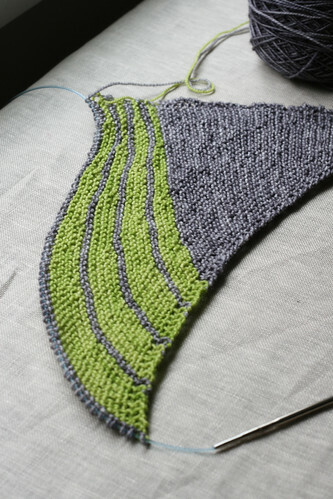 I really love the grey and chartreuse combo and you can't go wrong with garter stitch. The perfect mindless knitting stitch. Yarn is Madeline Tosh Sock and Alpha B. How are you all fixing your Knit Fever? love those two colors together! i have something similar lined up for knitting sometime this fall…. What are you making? Love it so far! 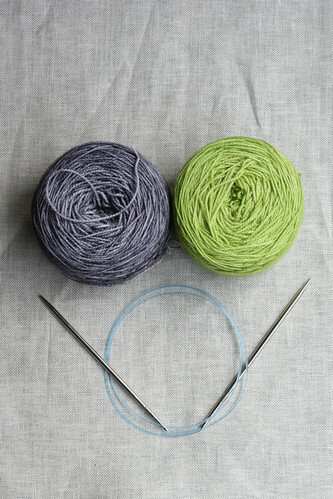 Hey, did you see LuvInTheMommyHood posted the ‘knit it, purl it…’ poster? Once I get my new studio space I’m totally ordering one. I just love it! These colors could not speak to me more. Looooove!